Handmade Bunny Doll 18.5" or 15" with optional accessories! Boy & Girl versions available! Each is unique, one of a kind! Fully washable! This listing is for a Large or XL custom handmade Bunny Softie!! 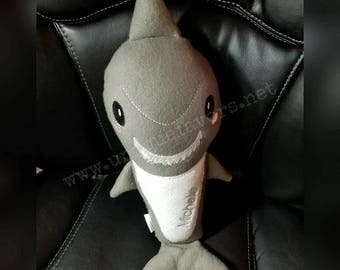 Available either approximately 15" or 18" tall! Compare to American Girl Dolls, as the larger elephant also fits the same size clothing, yet is fully machine washable and totally custom, made to order! (Also less expensive!) This listing is safe for all ages. The fabrics will vary based on availability. 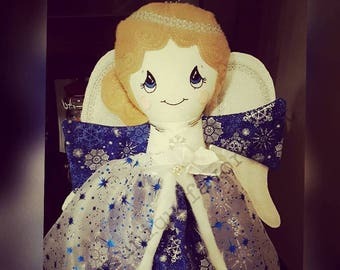 This will give you that one of a kind doll! 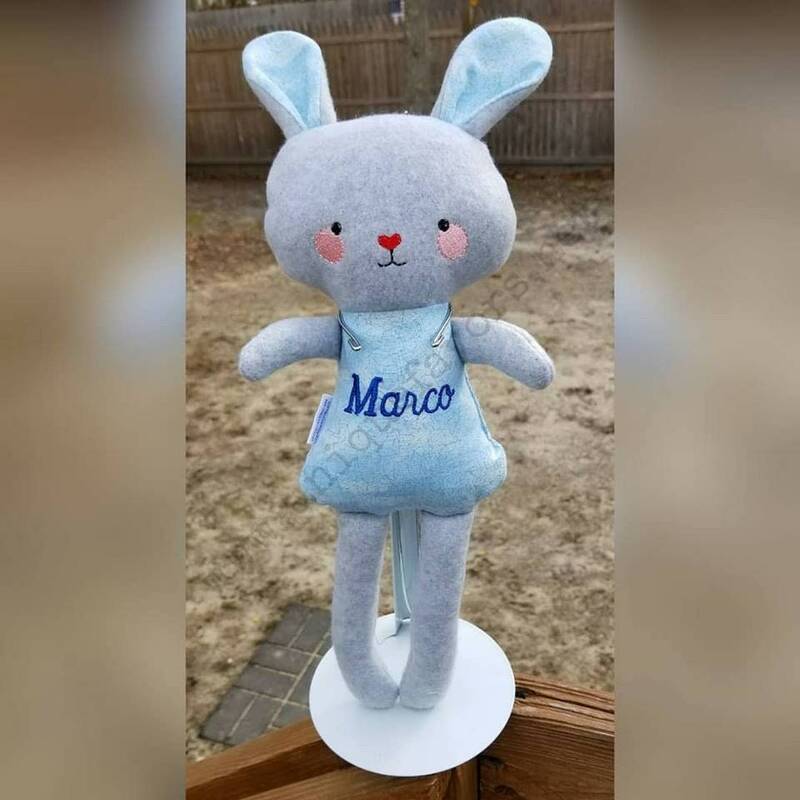 Bunny and fabric color are both your choice too! This bunny does NOT come with tutu or bow tie. 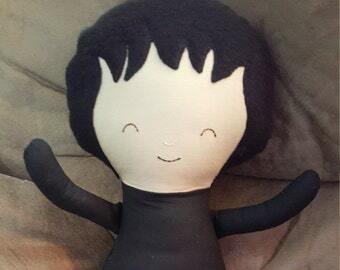 You can add them for a custom doll! Request a custom or add from my accessories listings! Clothing and accessories are also available for both sizes! OPTIONAL: If you would like a name embroidered on the bunny itself, please check that option. Remember, the XL dolls are the same height as American Girl Dolls and fit in standard 18" doll clothing! I can also custom make a variety of clothing accessories for both sizes, such as tops, pants, etc. Feel free to ask for a custom if you want more items. I will be adding more clothing only listings as well but I can always do custom orders for additional items! Want a custom version of the bunny? Feel free to request a custom and choose fabrics, eye color, clothing and more! A custom-designed doll awaits! Each item is handcrafted in my smoke free home. Packaged complete with tags and ready for gift giving! 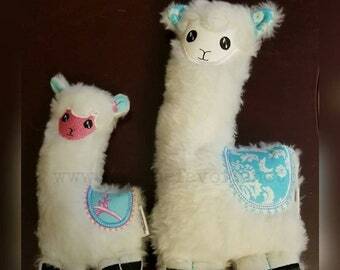 LIKE my fan page on Facebook to see hundreds of samples and other custom items I can create! Samples of other designs are also on my page! 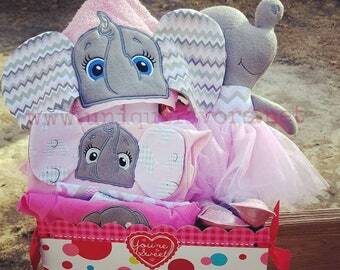 Handmade Elephant Doll 18.5" or 15" with optional accessories! Boy & Girl versions available! Each is unique, one of a kind! Fully washable! 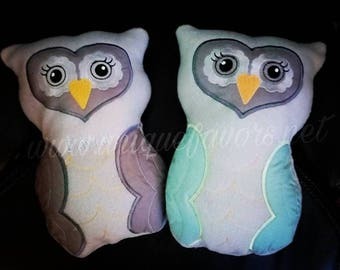 Handmade Owl Doll 18.5" or 15" with or without Tutu! Boy and Girl versions available! Each is unique, one of a kind! Fully washable! 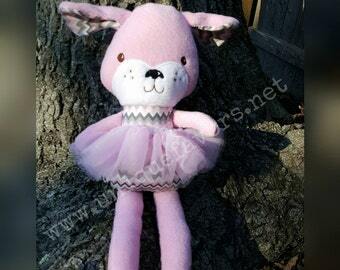 Handmade Puppy Doll 18.5" or 15" with or without Tutu! Boy and Girl versions available! Each is unique, one of a kind! Fully washable! 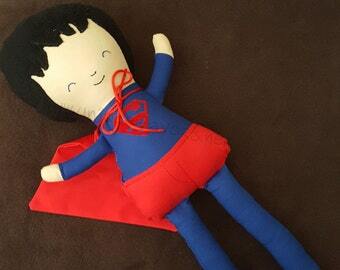 Custom Handmade Superhero 18.5" or 15" Doll with accessories! Batman Inspired. Each is unique, one of a kind! Fully washable! 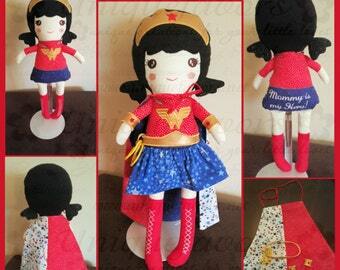 Custom Handmade Superhero 18.5" or 15" Doll with accessories! Superman Inspired. Each is unique, one of a kind! Fully washable! Custom Handmade Superhero XL 18.5" or LG 15" Doll with accessories! Wonder Woman Inspired. Each is unique, one of a kind! Fully washable! 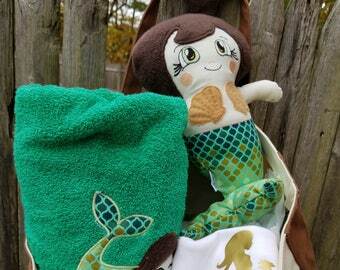 Custom Handmade Mermaid XL 18", LG 15" or Med 11" Doll or Gift set. Each is unique, one of a kind! Fully washable! Choose options! 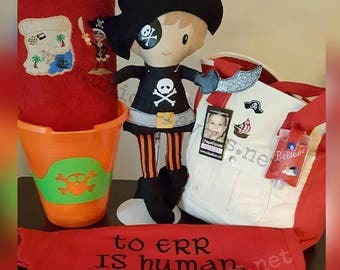 Custom Handmade Pirate XL 18", LG 15" or Med 11" Doll or Gift set. Each is unique, one of a kind! Doll is Fully washable! Choose options!